Representative George Moraitis is sponsoring another anti-owner community association bill (HB 841) that will do nothing but create more arbitration cases and lawsuits. He is selling his bill as a tool to clarify last year's Condo Reform Bill HB 1237, but in reality it will destroy most of the progress made last year with this bill. A group of members of the Miami Condo Reform Group is protesting in front of the office of Representative Jose Oliva -- asking him -- and all other Florida legislators -- to VOTE NO ON HB 841 -- an anti-owner community association bill sponsored by Representative George Moraitis. The problem is in the wording of the provisions this bill is trying to "amend". It actually creates more confusion than clarification and even contains a provision that would allow board members to do business behind closed doors -- by Internet. We have tried to explain it to him -- and our lobbyist Richard Pinsky spoke against the bill, pointing out many of the serious problems contained in the bill. We -- representatives of owner-advocacy groups -- tried to make appointments with him, but he had no time to meet with us, while Travis Moore and Peter Dunbar, representing special interest, have an open door with him. Barbara Stage, Esq. and I were in Tallahassee on January 30 and 31, only to be told by Moraitis' legislative aid Kassie Satterly that he has no time to meet with us. So we sat down with Kassie Satterly and discussed ll the flaws of the bill -- and even gave her wording to repair the flaws in this bill. Our requests were plainly ignored. The same happened to members of the Miami Condo Reform Group who as well attempted to make appointments with Representative Moraitis, trying to explain their opposition to this horrible bill. Moraitis runs his bill to the House committees without even considering the damage his bill will do to members of Florida community associations. Considering all the attempts made to point out the opposition of owners towards his bill, it was more than surprising that Moraitis claimed in an e-mail that he wasn't aware that owners' advocates opposed his bill. WAS HE SERIOUS? Please read the e-mail exchanges after Representative Moraitis obviously read one e-mail in opposition to his bill -- making him aware that members of the Miami Condo Reform Group will stage a protest at Representative Jose Oliva's office asking him and other legislators to VOTE NO ON HB 841. We are against the changes being made to the Condominium Law. These changes will set us back from what was accomplished in the last Legislative Session. We will be at Representative Jose Oliva’s office denouncing this complete disregard for Condominium Owners protections. I was not aware of Reform Florida’s opposition to HB841 until now. I admired and supported Representative Diaz’s work last year and the changes we are making this year do not undo HB1237, but rather address the implementation of many of its provisions which is common with such a large scale reform. I am writing to you in follow up to your call with my office to address the two areas of concern expressed: the website deadline extension and conflicts of interest. The website deadline was extended until January 1, 2019 in response to an overwhelming number of communities who requested this extension. I support the requirement for a website for large associations and HB841 maintains the requirement for associations to develop and maintain a website with only a few months of additional time. On the issue of conflicts of interest, the Florida Bar regulates conflicts of interest by attorneys representing more than one party. To be clear, the Bar’s ethics rules already prohibit conflicts when the parties are adverse. This would be the case when an association and its management company are in litigation with each other or are negotiating their contract. However, in many instances it is appropriate for the same attorney to represent both a condominium association and its management company. An example would be if there was an insurance claim by the association against its insurer for property damage. Because the Florida Bar ethics rules regulate attorney conflicts and because of some of the practical problems with the current language we have removed this provision from the statute. I am available to discuss this further and hope that you can support this legislation moving forward. Unfortunately, Representative Moraitis this should be an exception not the rule if there are communities that need an extension they should go thru DBPR to get an exception. 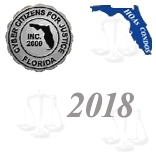 In regards to the Florida Bar we have seen time and time again how inept they are at regulating their own members especially when it comes to condominiums. They can’t be allowed such latitude when peoples homes are on the line. The provision needs to stay there is too much risk of quid pro quo when an association and property management company have the same attorney. The lines are too blurred on what favors may be happening behind the scenes. We – and representatives from the Miami Condo Reform Group -- were in Tallahassee on January 30 and 31. We tried to get an appointment to meet with you to explain our serious concerns regarding your bill HB 841. We were told that you have no time to meet with us despite various attempts, so we explained all our concerns, with detailed explanations, to your legislative aid Kassie Satterly. We send e-mails with amended wording asking you to please consider our changes. The bill in the current form, especially the recall and fining provisions, are anti-owner and create nothing but lawsuits as shown in the lawsuit regarding record requests you received earlier, filed by a member of the Becker & Poliakoff law firm. Please note that the folks supporting your bill in the moment are representatives of special interest, interested in creating more money-making opportunities. Most likely the communities behind the request to extend the deadline for creating a website with records are the same communities that are paying Becker & Poliakoff for lobbying (a violation of FS 718) to extend the deadline for retro-fitting the sprinkler-systems in high-rises, despite the fact that that was known to happen for more than 12 years. Your bill, supported for example by Becker & Poliakoff (Travis Moore, CAI), is strengthening their position and actually destroys some of the good intentions of last year’s Condo Reform Bill HB 1237 sponsored by Representative Jose Diaz. In its momentary wording the bill is unacceptable for homeowners and condo owners and we will strongly protest against this bill. We are gladly discussing with you the changes necessary to make the bill acceptable for us owners. Please let us know and our lobbyist Richard Pinsky will contact you, discussing much needed changes to the bill. Well: Representative Moraitis surely can't claim any longer that he isn't aware that his bill faces serious opposition by owners' advocacy groups!